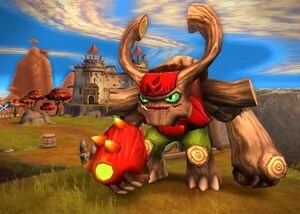 Tree Rex is a Giant from the new game, Skylanders: Giants. He is of the Life element. Tree Rex's comparison with Stealth Elf. 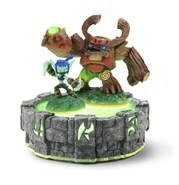 Alchemist is an upcoming new Skylander in the upcoming video game Skylanders: Giants. He is of the Magic element. Skylanders: Giants is a new Skylanders game that will be released Fall 2012, a sequel to the spin-off Spyro game, Skylanders: Spyro’s Adventure. 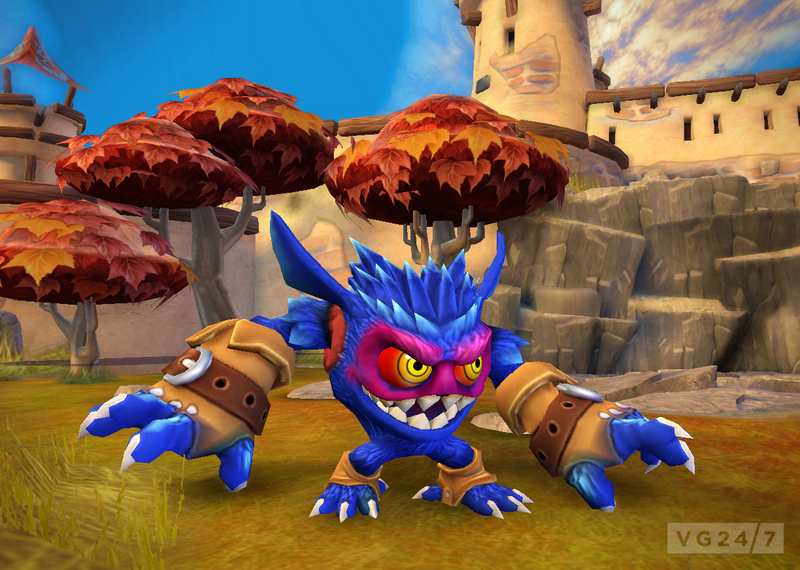 The Giants are one of the key playable characters in the upcoming game of Skylanders: Giants. There are a total of eight Giants, one of each element. As the story goes, the original Skylanders were actually giants, and it was they who first defeated Kaos and his machines many moons ago. As a form of sacrifice, the Giants were shot to Earth where they’ve been buried underground ever since. In Skylanders: Giants, the Skylanders will need to summon the Giants back to Skylands to help them fight Kaos and his war machines. The Giants may possibly be the Elder Elementals, the most powerful of all of the Skylanders who were first mentioned in a Story Scroll in Skylanders: Spyro’s Adventure. Joel Cohen and Alec Sokolow have returned to help write the story. The theme music will again be by Academy Award Winning film composer Hans Zimmer and there will be a brand new score by returning composer, Lorne Balfe. In the brand new Starter Pack, you will get three Skylanders (a Giant, a new Skylander, and a returning Skylander), a Portal of Power, Trading Cards, a Poster, and the game itself. The Starter Pack will also be available without the Portal of Power for those who already have it. 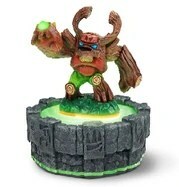 Skylanders from Skylanders: Spyro’s Adventure that are being released with a remodel or light up when near a Portal of Power have an orange base instead of a green base. Skylanders: Giants introduces eight new highly collectible figures that are more than twice the size of the main skylanders cast in both physical and virtual form. Their in-game powers and abilities reflect their colossal scale. Helping to further the real world magic of bringing toys to life, Skylanders: Giants includes a set of characters that feature spectacular new light technology integrated into the toys, allowing the figure to light up when near or on the Portal of Power. These characters have additional in-game benefits as well. Batteries are not required. Eight new regular sized Skylanders, each with their own unique powers, abilities, and personality, join the adventure alongside the Giants. Every beloved character from Skylanders: Spyro’s Adventure is 100% compatible with Skylanders: Giants, leveled-up stats and customizations intact. Portal Masters will see all new arenas and more gameplay options in Battle Mode for exciting head-to-head play, as well as enhanced Elemental Zones, new Hero Challenges, and other features that encourage players to collect and level up every character.